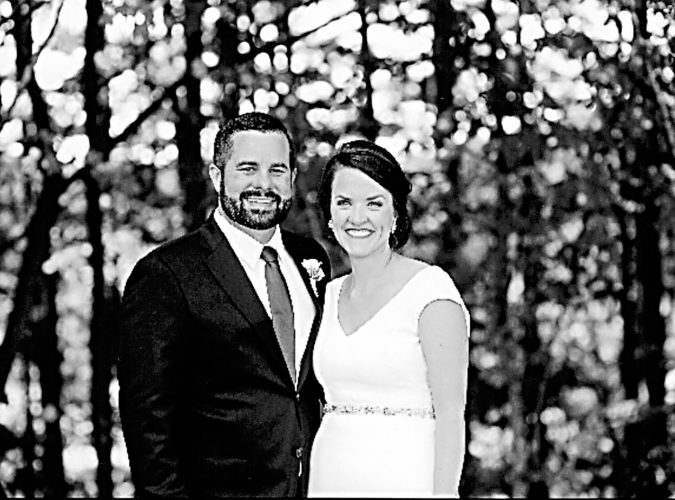 Emily (Sendelbach) Brubaker and Daniel Rinaman III exchanged wedding vows Sept. 19, 2015, at 1:30 p.m. at St. Joseph Catholic Church with the Rev. Joseph Szybka officiating the double-ring ceremony. A reception was held at Somerset Reception Center, Tiffin. Emily is the daughter of Alan and Debra Sendelbach of rural Tiffin. Daniel is the son of Daniel and Debra Rinaman of Tiffin. 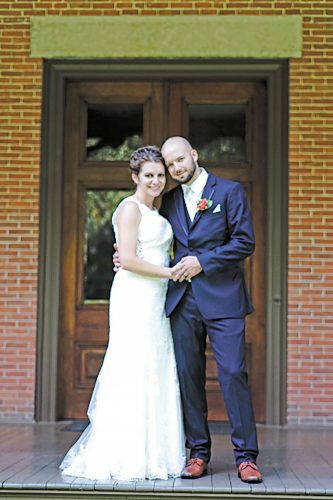 The bride, given in marriage by her sons, Gabriel and Caleb Brubaker, wore a fitted gown accented with a light blue, beaded sash and a beaded headband and carried a tightly-packed bouquet of white anemones and white and orange ranunculus tied with a light blue ribbon. 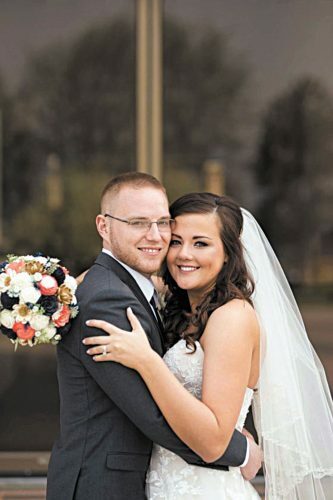 Sara Thompson of Fremont served as her friend’s matron of honor. Bridesmaids included Jenny Boehler of Tiffin, friend of the couple; Alison Troutman and Danielle Kin, both of Tiffin and friends of the bride; and Katie Rinaman of Tiffin, sister-in-law of the couple. They wore two-toned, brown and light blue, tea-length dresses and carried smaller versions of the bride’s bouquet. Keven Rinaman of Tiffin served as his brother’s best man. Groomsmen included Louis Boehler of Tiffin, friend of the couple; and Matt Bowlin of Findlay, Barry Trevino and Jon Risner of Tiffin, all friends of the groom. They wore black tuxes with orange vests and ties. 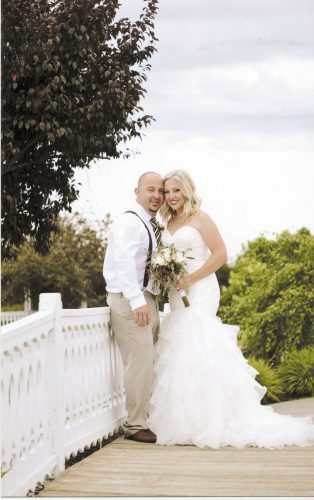 Emily attended Bettsville High School and graduated in 2003 from St. Wendelin High School, Fostoria. She received an undergraduate degree in English from Heidelberg University in 2006 and is to earn a master’s in library and information science from University of South Carolina in December. She is the outreach and extension manager at Tiffin-Seneca Public Library. Daniel graduated in 1996 from Calvert High School and is employed as a pressman at The Advertiser-Tribune. 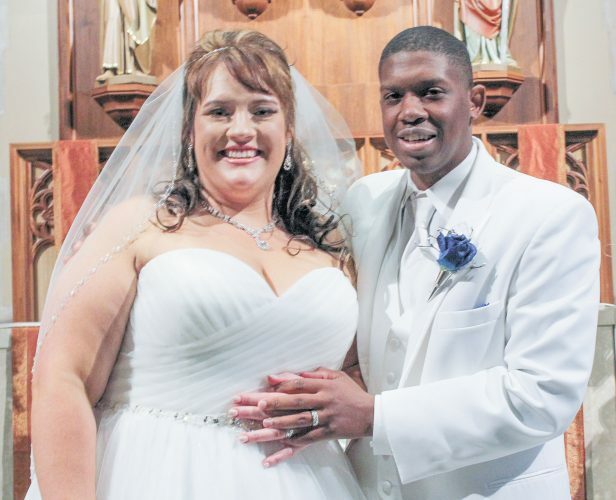 The couple, who resides in Tiffin, took a honeymoon trip to Niagara Falls, Canada.